Students Learn Coding In An Hour Using Raspberry Pi, isn't it great!!!! Broadcom teaches school students--most with no background in programming--how to program a game in 60 minutes using the popular Linux computer. The credit-card-sized device with good capabilities at $25 became an instant hit when it was launched earlier this year. Raspberry Pi is a trend-setting device that you certainly cannot ignore. This is the reason why it was the hot topic at the recently conducted Broadcom MASTERS program--short for Math, Applied Science, Technology, Engineering and Rising Stars. At the the Raspberry Pi event held in D.C. from 28 September to 3 October, network and communications giant Broadcom used the Linux machine to teach children how to program a game in an hour. Starting with a snake game, middle-school students--most with no background in programming, were given a Raspberry Pi during their breakfast programming session. They were asked to expand on the game with an aim to make it a little different within an hour. Kids were segregated into six groups of five; and each group was also assisted by a Broadcom employee and a student from Howard University. It is worth mentioning here that kids could successfully turned snake into a multiplayer game. They also created a version of the game with holographic apples that the snake would pass through rather than eat, according to a report by Mashable. Many small-sized computers have come into the market in the past, but none have made such an impact. 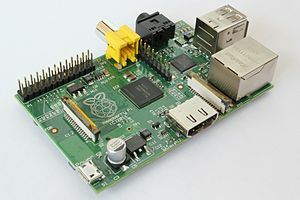 The makers of Raspberry Pi chose Linux to keep the cost down. Also, the idea behind making such a device was to encourage programming amongst students. According to Eben Upton, founder of the Raspberry Pi Foundation, the beauty of the Raspberry Pi is that almost anyone can buy one and use it as a dedicated programming machine.